Creating accessible websites for everyone. We were inspired by a friend who works with students with disabilities, talking about how a lot of websites lack accessibility features and users with disabilities are forced to download multiple chrome extensions to make the web usable. One of our group members was aware of research regarding website accessibility for various user groups (https://accessibility.blog.gov.uk/2016/09/02/dos-and-donts-on-designing-for-accessibility/). 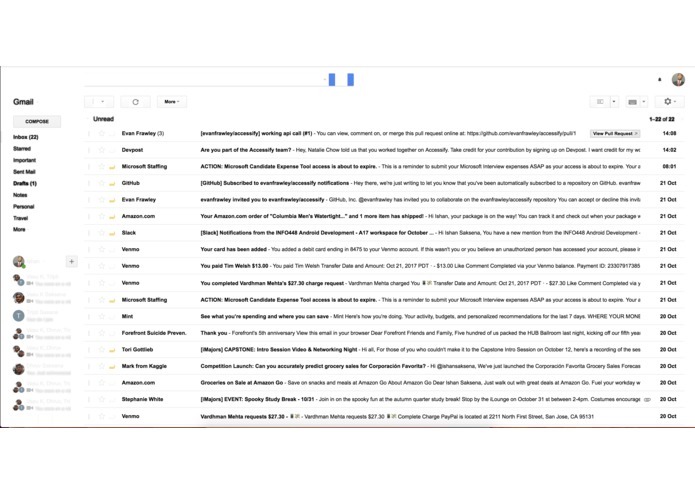 We decided we wanted to create a single chrome extension that accomplished all of the accessibility tasks that users wanted, in order to appeal to a variety of users and make at least one part of their lives easier. 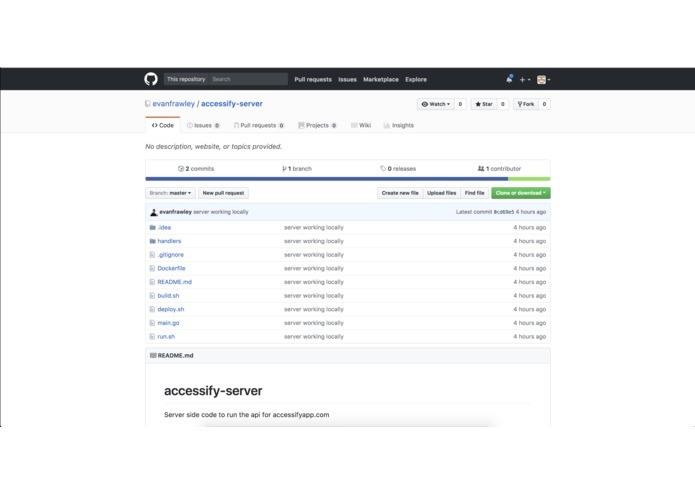 Accessify augments websites so they are more accessible for specific users. 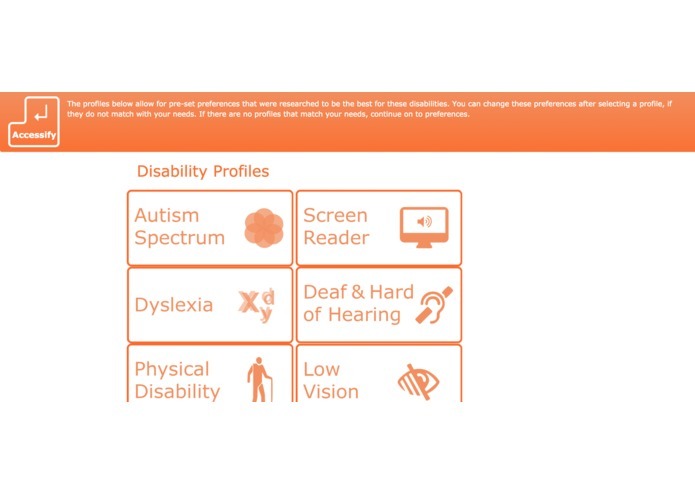 We provide customizable disability profiles that allow users to refine our tool for their individual needs. Each disability profile is rooted in research about what user groups like and dislike on websites. We create more accessible websites by changing font, color, contrast, layout, and language. In addition, we help visually impaired users parse the content of images and plan on supporting video and audio in the future. We started with the user, and created two personas based off of the research. We then used these personas to influence how we designed the chrome extension by sketching out the information flow based off of the user journeys. Focusing on scope, we looked at which API's were available to utilize, and what the users needed. For example, users using screen readers require alt text for photos, and users with dyslexia require short and simple content. We built out a chrome extension that calls an API that we created ourselves. 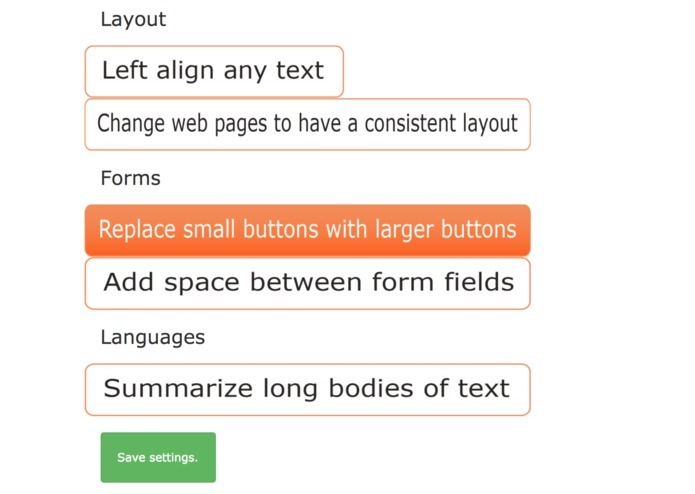 The API returns text describing a photo for images without alt text and summarizations of large bodies of text which addresses the needs for users using screen readers and users with dyslexia. We ran into challenges early on, when talking about scope. 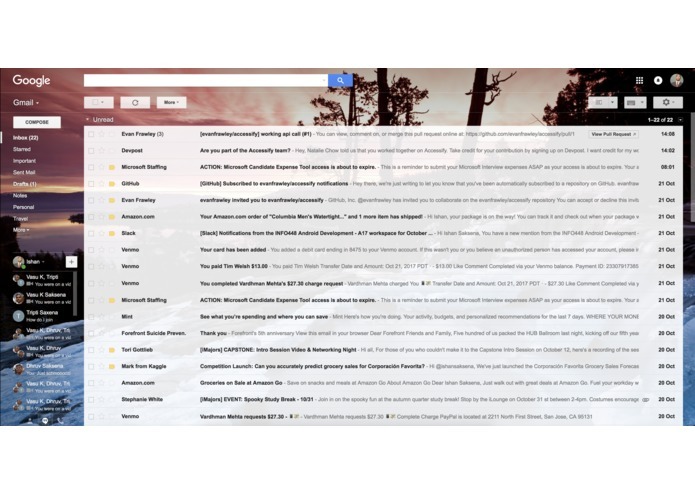 There were many different users, who often had contradicting needs, and many needs could not be addressed as a google chrome extension. 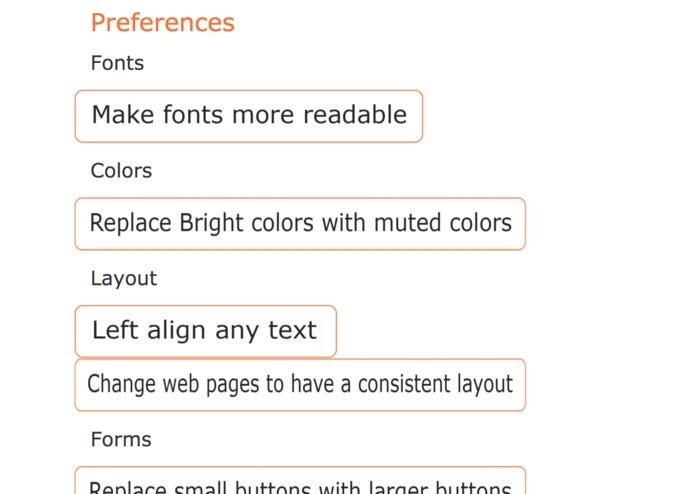 For example, contrasting needs could include the need for contrasting colors for those with low vision, but the need for muted colors for those on the autism spectrum. An example of a need that could not be addressed as a google chrome extension was a design for keyboard use only. To address this, we would have to change how the page is designed and possibly some of the content, so we decided it was out of our scope. We are proud of creating a product that is user centered, within the limited timeline and without access to primary research, or research that was collected by us. We learned about accessible design, and why it's difficult. First, there are a lot of different groups of people who have very different needs, that are often contradicting. Creating a web page that is accessible for all different types users is incredibly hard because of these contradicting needs. Second, user research is important because users with disabilities have very niche needs that require special attention. Understanding these needs is important when designing for these user groups because the impact of not having features may be greater than for other, non disabled, user groups. 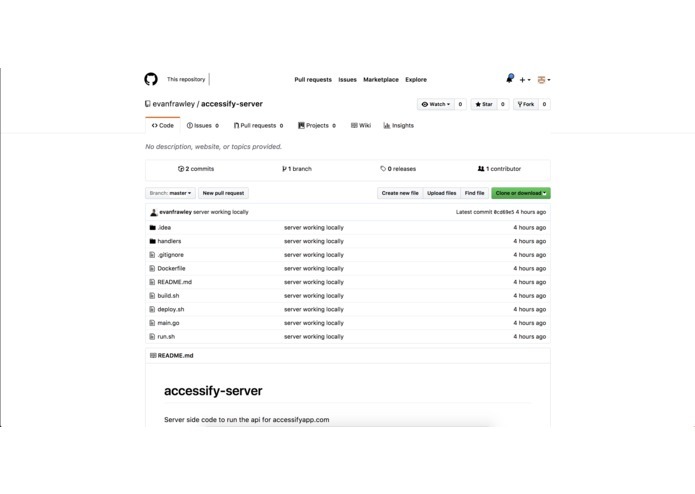 Future steps could include refining the design of Accessify, adding more features for different user groups like subtitle creation for video or audio, and creating a developer tool to address some of the issues we are not able to change like content issues or significant layout flaws. I worked on the User Personas, the UX/UI design, and the visual design aspects. I created the logo, and all of the symbols.